Apple is holding a keynote today at the Brooklyn Academy of Music’s Howard Gilman Opera House, and the company is expected to unveil a brand new iPad Pro as well as updated Mac computers. The event starts at 10 AM in New York (7 AM in San Francisco, 2 PM in London, 3 PM in Paris), you’ll be able to watch the event as the company is streaming it live. If you live in Europe and already put a note in your calendar, make sure you got the time right as daylight saving time has yet to happen in the U.S. New York is currently 4 hours behind London, 5 hours behind Paris, etc. Apple is likely to unveil a new iPad Pro to replace the 10.5-inch and 12.9-inch iPad Pro. Rumor has it that it’ll look nothing like your current iPad. The device should get rounded corners, thinner bezels and a Face ID sensor. Apple could also switch to USB-C instead of Lightning and refresh the Apple Pencil. On the Mac front, the MacBook Air could get a refresh. This could be Apple’s new entry-level laptop. But it should sport a retina display for the first time. There could also be a new Mac Mini of some sort after all those years without an update. Finally, maybe Apple will tell us why the AirPower charging mat is still not available. Apple might also update the AirPods. But maybe it’ll happen later. If you have a recent Apple TV, you can download the Apple Events app in the App Store. It lets you stream today’s event and rewatch old events. Users with pre-App Store Apple TVs can simply turn on their devices. Apple is pushing out the “Apple Events” channel so that you can watch the event. And if you don’t have an Apple TV, the company also lets you live-stream the event from the Apple Events section on its website. This video feed now works in all major browsers — Safari, Google Chrome, Mozilla Firefox and Microsoft Edge. On the Mac: Safari, Google Chrome or Mozilla Firefox. On Windows: Google Chrome, Mozilla Firefox or Microsoft Edge. An Apple TV with the Apple Events app in the App Store. Of course, you also can read TechCrunch’s live blog if you’re stuck at work and really need our entertaining commentary track to help you get through your day. We have a big team in the room this year. This iPhone is great. It is most like the last iPhone — but not the last “best” iPhone — more like the last not as good iPhone. It’s better than that one though, just not as good as the newest best iPhone or the older best iPhone. If you’re upgrading from an iPhone 7 or iPhone 8, you’re gonna love it and likely won’t miss any current features while also getting a nice update to a gesture-driven phone with Face ID. But don’t buy it if you’re coming from an iPhone X, you’ll be disappointed as there are some compromises from the incredibly high level of performance and quality in Apple’s last flagship, which really was pushing the envelope at the time. From a consumer perspective, this is offering a bit of choice that targets the same kind of customer who bought the iPhone 8 instead of the iPhone X last year. They want a great phone with a solid feature set and good performance but are not obsessed with ‘the best’ and likely won’t notice any of the things that would bug an iPhone X user about the iPhone XR. On the business side, Apple is offering the iPhone XR to make sure there is no pricing umbrella underneath the iPhone XS and iPhone XS Max, and to make sure that the pricing curve is smooth across the iPhone line. It’s not so much a bulwark against low-end Android, that’s why the iPhone 8 and iPhone 7 are sticking around at those low prices. Instead it’s offering an ‘affordable’ option that’s similar in philosophy to the iPhone 8’s role last year but with some additional benefits in terms of uniformity. Apple gets to move more of its user base to a fully gesture-oriented interface, as well as giving them Face ID. It benefits from more of its pipeline being dedicated to devices that share a lot of components like the A12 and True Depth camera system. It’s also recognizing the overall move towards larger screens in the market. If Apple was trying to cannibalize sales of the iPhone XS, it couldn’t have created a better roasting spit than the iPhone XR. Apple says that the iPhone XR has ‘the most advanced LCD ever in a smartphone’ — their words. The iPhone XR’s screen is an LCD, not an OLED. This is one of the biggest differences between the iPhone XR and the iPhone XS models, and while the screen is one of the best LCDs I’ve ever seen, it’s not as good as the other models. Specifically, I believe that the OLED’s ability to display true black and display deeper color (especially in images that are taken on the new XR cameras in HDR) set it apart easily. That said, I have a massive advantage in that I am able to hold the screens side by side to compare images. Simply put, if you don’t run them next to one another, this is a great screen. Given that the iPhone XS models have perhaps the best displays ever made for a smartphone, coming in a very close second isn’t a bad place to be. A lot of nice advancements have been made here over earlier iPhone LCDs. You get True Tone, faster 120hz touch response and wide color support. All on a 326 psi stage that’s larger than the iPhone 8 Plus in a smaller body. You also now get tap-to-wake, another way Apple is working hard to unify the design and interaction language of its phones across the lineup. All of these advancements don’t come for free to an LCD. There was a lot of time, energy and money spent getting the older technology to work as absolutely closely as possible to the flagship models. It’s rare to the point of non-existence that companies care at all to put in the work to make the lower end devices feel as well worked as the higher end ones. For as much crap as Apple gets about withholding features to get people to upsell, there is very little of that happening with the iPhone XR, quite the opposite really. There are a few caveats here. First, 3D touch is gone, replaced by ‘Haptic Touch’ which Apple says works similarly to the MacBook’s track pad. It provides feedback from the iPhone’s Taptic vibration engine to simulate a ‘button press’ or trigger. In practice, the reality of the situation is that it is a very prosaic ‘long press to activate’ more than anything else. It’s used to trigger the camera on the home screen and the flashlight, and Apple says it’s coming to other places throughout the system as it sees it appropriate and figures out how to make it feel right. I’m not a fan. I know 3D touch has its detractors, even among the people I’ve talked to who helped build it, I think it’s a clever utility that has a nice snap to it when activating quick actions like the camera. In contrast, on the iPhone XR you must tap and hold the camera button for about a second and a half — no pressure sensitivity here obviously — as the system figures out that this is an intentional press by determining duration, touch shape and spread etc and then triggers the action. You get the feedback still, which is nice, but it feels disconnected and slow. It’s the best case scenario without the additional 3D touch layer, but it’s not ideal. I’d also be remiss if I didn’t mention that the edges of the iPhone XR screen have a slight dimming effect that is best described as a ‘drop shadow’. It’s wildly hard to photograph but imagine a very thin line of shadow around the edge of the phone that gets more pronounced as you tilt it and look at the edges. It’s likely an effect of the way Apple was able to get a nice sharp black drop-off at the edges that gets that to-the-edges look of the iPhone XR’s screen. Apple is already doing a ton of work rounding the corners of the LCD screen to make them look smoothly curved (this works great and is nearly seamless unless you bust out the magnifying loupe) and it’s doing some additional stuff around the edge to keep it looking tidy. They’ve doubled the amount of LEDs in the screen to make that dithering and the edging possible. Frankly, I don’t think most people will ever notice this slight shading of dark around the edge — it is very slight — but when the screen is displaying mostly white and it’s next to the iPhone XS it’s visible. Oh, the bezels are bigger. It makes the front look slightly less elegant and screenful than the iPhone XS, but it’s not a big deal. Yes, the portrait mode works. No, it’s not as good as the iPhone XS. Yes, I miss having a zoom lens. All of those things are true and easily the biggest reason I won’t be buying an iPhone XR. However, in the theme of Apple working its hardest to make even its ‘lower end’ devices work and feel as much like its best, it’s really impressive what has been done here. The iPhone XR’s front-facing camera array is identical to what you’ll find in the iPhone XS. Which is to say it’s very good. The rear facing camera is where it gets interesting, and different. The rear camera is a single lens and sensor that is both functionally and actually identical to the wide angle lens in the iPhone XS. It’s the same sensor, the same optics, the same 27mm wide-angle frame. You’re going to get great ‘standard’ pictures out of this. No compromises. However, I found myself missing the zoom lens a lot. This is absolutely a your mileage may vary scenario, but I take the vast majority of my pictures with the telephoto lens. Looking back at my year with the iPhone X I’d say north of 80% of my pictures were shot with the telephoto, even if they were close ups. I simply prefer the “52mm” equivalent with its nice compression and tight crop. It’s just a better way to shoot than a wide angle — as any photographer or camera company will tell you because that’s the standard (equivalent) lens that all cameras have shipped with for decades. Wide angle lenses were always a kludge in smartphones and it’s only in recent years that we’ve started getting decent telephotos. If I had my choice, I’d default to the tele and have a button to zoom out to the wide angle, that would be much nicer. But with the iPhone XR you’re stuck with the wide — and it’s a single lens at that, without the two different perspectives Apple normally uses to gather its depth data to apply the portrait effect. So they got clever. iPhone XR portrait images still contain a depth map that determines foreground, subject and background, as well as the new segmentation map that handles fine detail like hair. While the segmentation maps are roughly identical, the depth maps from the iPhone XR are nowhere as detailed or information rich as the ones that are generated by the iPhone XS. See the two maps compared here, the iPhone XR’s depth map is far less aware of the scene depth and separation between the ‘slices’ of distance. It means that the overall portrait effect, while effective, is not as nuanced or aggressive. In addition, the iPhone XR’s portrait mode only works on people.You’re also limited to just a couple of the portrait lighting modes: studio and contour. In order to accomplish portrait mode without the twin lens perspective, Apple is doing facial landmark mapping and image recognition work to determine that the subject you’re shooting is a person. 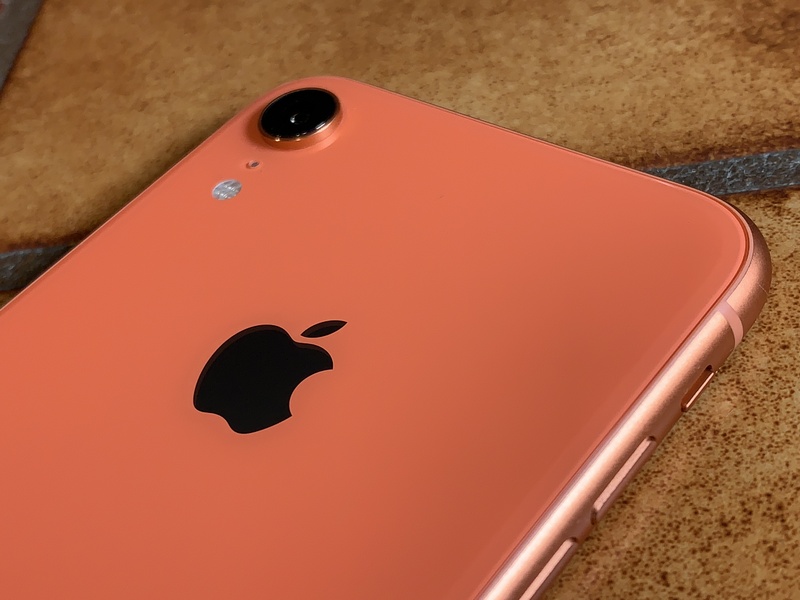 It’s doing depth acquisition by acquiring the map using a continuous real-time buffer of information coming from the focus pixels embedded in the iPhone XR’s sensor that it is passing to the A12 Bionic’s Neural Engine. Multiple neural nets analyze the data and reproduce the depth effect right in the viewfinder. When you snap the shutter it combines the depth data, the segmentation map and the image data into a portrait shot instantaneously. You’re able to see the effect immediately. It’s wild to see this happen in real time and it boggles thinking about the horsepower needed to do this. By comparison, the Pixel 3 does not do real time preview and takes a couple of seconds to even show you the completed portrait shot once it’s snapped. It’s a bravura performance in terms of silicon. But how do the pictures look? I have to say, I really like the portraits that come out of the iPhone XR. I was ready to hate on the software-driven solution they’d come up with for the single lens portrait but it’s pretty damn good. The depth map is not as ‘deep’ and the transitions between out of focus and in focus areas are not as wide or smooth as they are on iPhone XS, but it’s passable. You’re going to get more funny blurring of the hair, more obvious hard transitions between foreground and background and that sort of thing. And the wide angle portraits are completely incorrect from an optical compression perspective (nose too large, ears too small). Still, they are kind of fun in an exaggerated way. Think the way your face looks when you get to close to your front camera. If you take a ton of portraits with your iPhone, the iPhone XS is going to give you a better chance of getting a great shot with a ton of depth that you can play with to get the exact look that you want. But as a solution that leans hard on the software and the Neural Engine, the iPhone XR’s portrait mode isn’t bad. 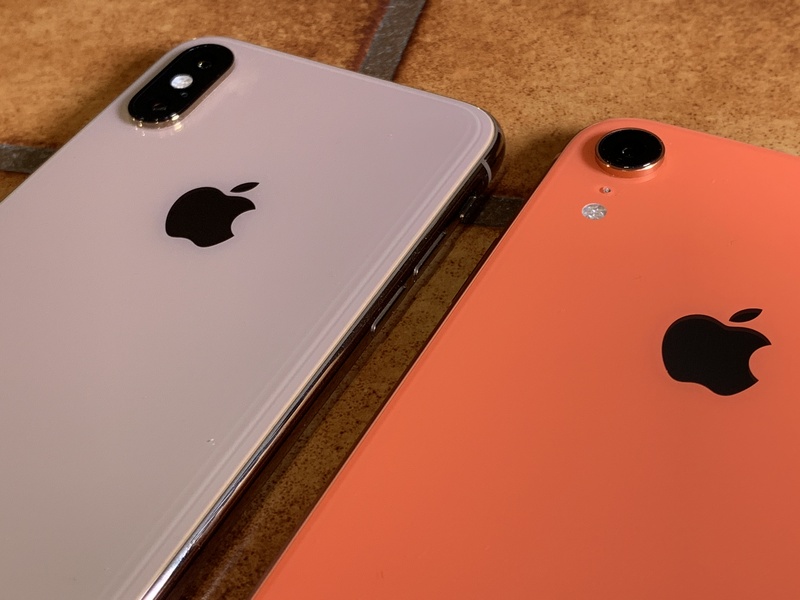 Unsurprisingly, given that it has the same exact A12 Bionic processor, but the iPhone XR performs almost identically to the iPhone XS in tests. Even though it features 3GB of RAM to the iPhone XS’ 4GB, the overall situation here is that you’re getting a phone that is damn near identical as far as speed and capability. If you care most about core features and not the camera or screen quirks, the iPhone XR does not offer many, if any, compromises here. The iPhone XR is the perfect size. If Apple were to make only one phone next year, they could just make it XR-sized and call it good. Though I am now used to the size of the iPhone X, a bit of extra screen real-estate is much appreciated when you do a lot of reading and email. Unfortunately, the iPhone XS Max is a two-handed phone, period. The increase in vertical size is lovely for reading and viewing movies, but it’s hell on reachability. Stretching to the corners with your thumb is darn near impossible and to complete even simple actions like closing a modal view inside an app it’s often easiest (and most habitual) to just default to two hands to perform those actions. For those users that are ‘Plus’ addicts, the XS Max is an exercise in excess. It’s great as a command center for someone who does most of their work on their iPhones or in scenarios where it’s their only computer. My wife, for instance, has never owned her own computer and hasn’t really needed a permanent one in 15 years. For the last 10 years, she’s been all iPhone, with a bit of iPad thrown in. I myself am now on a XS Max because I also do a huge amount of my work on my iPhone and the extra screen size is great for big email threads and more general context. But I don’t think Apple has done enough to capitalize on the larger screen iPhones in terms of software — certainly not enough to justify two-handed operation. It’s about time iOS was customized thoroughly for larger phones beyond a couple of concessions to split-view apps like Mail. That’s why the iPhone XR’s size comes across as such a nice compromise. It’s absolutely a one-handed phone, but you still get some extra real-estate over the iPhone XS and the exact same amount of information appears on the iPhone XR’s screen as on the iPhone XS Max in a phone that is shorter enough to be thumb friendly. Apple’s industrial design chops continue to shine with the iPhone XR’s color finishes. My tester iPhone was the new Coral color and it is absolutely gorgeous. The way Apple is doing colors is like nobody else. There’s no comparison to holding a Pixel 3, for instance. The Pixel 3 is fun and photographs well, but super “cheap and cheerful” in its look and feel. Even though the XR is Apple’s mid-range iPhone, the feel is very much that of a piece of nicely crafted jewelry. It’s weighty, with a gorgeous 7-layer color process laminating the back of the rear glass, giving it a depth and sparkle that’s just unmatched in consumer electronics. The various textures of the blasted aluminum and glass are complimentary and it’s a nice melding of the iPhone 8 and iPhone X design ethos. It’s massively unfortunate that most people will be covering the color with cases, and I expect clear cases to explode in popularity when these phones start getting delivered. It remains very curious that Apple is not shipping any first-party cases for the iPhone XR — not even the rumored clear case. I’m guessing that they just weren’t ready or that Apple was having issues with some odd quirk of clear cases like yellowing or cracking or something. But whatever it is, they’re leaving a bunch of cash on the table. Apple’s ID does a lot of heavy lifting here, as usual. It often goes un-analyzed just how well the construction of the device works in conjunction with marketing and market placement to help customers both justify and enjoy their purchase. It transmits to the buyer that this is a piece of quality kit that has had a lot of thought put into it and makes them feel good about paying a hefty price for a chunk of silicon and glass. No one takes materials science anywhere as seriously at Apple and it continues to be on display here. As I said above, it’s not that complicated of a question. I honestly wouldn’t overthink this one too much. 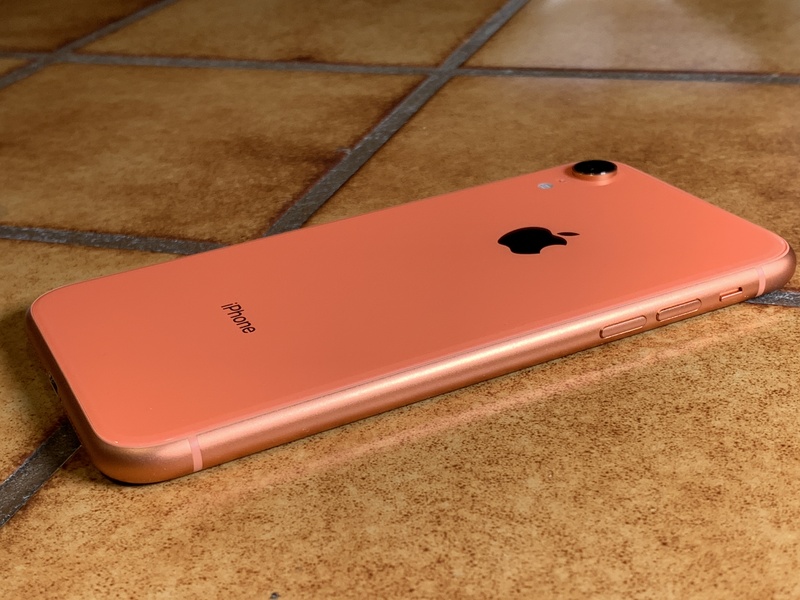 The iPhone XR is made to serve a certain segment of customers that want the new iPhone but don’t necessarily need every new feature. It works great, has a few small compromises that probably won’t faze the kind of folks that would consider not buying the best and is really well built and executed. Apple wants to fill the umbrella, leaving less room than ever for competitors. Launching a phone that’s competitive in price and features an enormous amount of research and execution that attempt to make it as close a competitor as possible to its own flagship line, Apple has set itself up for a really diverse and interesting fiscal Q4. Whether you help Apple boost its average selling price by buying one of the maxed out XS models or you help it block another Android purchase with an iPhone XR, I think it will probably be happy having you, raw or cooked. iOS 12 is still brand new, but Apple is already testing iOS 12.1 with a developer beta version. Steve Troughton-Smith and Guilherme Rambo found references to a brand new iPad that would support Face ID. First, there are changes to Face ID. You can find references to landscape orientation in the iOS 12.1 beta. Face ID on the iPhone is limited to portrait orientation. Chances are you didn’t even notice this limitation because there’s only one orientation for the lock screen and home screen. But the iPad is a different story as people tend to use it in landscape. And even when you hold it in landscape, some people will have the home button on the left while others will have the home button on the right. In other words, in order to bring Face ID to the iPad, it needs to support multiple orientations. This beta indicates that iOS 12.1 could be the version of iOS that ships with the next iPad. If that wasn’t enough, there’s a new device codename in the setup reference files. This device is called iPad2018Fall, which clearly means that a new iPad is right around the corner. Analyst Ming-Chi Kuo previously indicated that the iPad Pro could switch from Lightning to USB-C. This would open up a ton of possibilities when it comes to accessories. For instance, you could plug an external monitor without any dongle and send a video feed to this external monitor. As for iPhone users, in addition to bug fixes, iOS 12.1 brings back Group FaceTime, a feature that was removed at the last minute before the release of iOS 12. If it’s still too buggy, Apple could still choose to remove the feature once again. Memojis could support iCloud syncing across your devices, which would be useful for an iPad Pro with Face ID. Twitter will now put live streams and broadcasts started by accounts you follow at the top of your timeline, making it easier to see what they’re doing in realtime. In a tweet, Twitter said that that the new feature will include breaking news, personalities and sports. The social networking giant included the new feature in its iOS and Android apps, updated this week. Among the updates, Twitter said it’s now also supporting audio-only live broadcasts, as well as through its sister broadcast service Periscope. Last month, Twitter discontinued its app for iOS 9 and lower versions, which according to Apple’s own data still harbors some 5 percent of all iPhone and iPad users. Research scientists at Queen’s University’s Human Media Lab have built a prototype touchscreen device that’s neither smartphone nor tablet but kind of both — and more besides. The device, which they’ve christened the MagicScroll, is inspired by ancient (papyrus/paper/parchment) scrolls so it takes a rolled-up, cylindrical form factor — enabled by a flexible 7.5inch touchscreen housed in the casing. Then, when more information or a deeper dive is required, the user is able to pop the screen out of the casing to expand the visible display real estate. The flexible screen on the prototype has a resolution of 2K. So more mid-tier mobile phone of yore than crisp iPhone Retina display at this nascent stage. The scientists also reckon the scroll form factor offers a pleasing ergonomically option for making actual phone calls too, given that a rolled up scroll can sit snugly against the face. Though they admit their prototype is still rather large at this stage — albeit, that just adds to the delightfully retro feel of the thing, making it come over like a massive mobile phone of the 1980s. Like the classic Motorola 8000X Dynatac of 1984. They also imagine it being used as a dictation device or pointing device, as well as a voice phone. And the prototype includes a camera — which allows the device to be controlled using gestures, similar to Nintendo’s ‘Wiimote’ gesture system. In another fun twist they’ve added robotic actuators to the rotary wheels so the scroll can physically move or spin in place in various scenarios, such as when it receives a notification. Clocky eat your heart out. “We were inspired by the design of ancient scrolls because their form allows for a more natural, uninterrupted experience of long visual timelines,” said Roel Vertegaal, professor of human-computer interaction and director of the lab, in a statement. The team has made a video showing the prototype in action (embedded below), and will be presenting the project at the MobileHCI conference on Human-Computer Interaction in Barcelona next month. While any kind of mobile device resembling the MagicScroll is clearly very, very far off even a sniff of commercialization (especially as these sorts of concept devices have long been teased by mobile device firms’ R&D labs — while the companies keep pumping out identikit rectangles of touch-sensitive glass… ), it’s worth noting that Samsung has been slated to be working on a smartphone with a foldable screen for some years now. And, according to the most recent chatter about this rumor, it might be released next year. Or, well, it still might not. But whether Samsung’s definition of ‘foldable’ will translate into something as flexibly bendy as the MagicScroll prototype is highly, highly doubtful. A fused clamshell design — where two flat screens could be opened to seamlessly expand them and closed up again to shrink the device footprint for pocketability — seems a much more likely choice for Samsung designers to make, given the obvious commercial challenges of selling a device with a transforming form factor that’s also robust enough to withstand everyday consumer use and abuse. Add to that, for all the visual fun of these things, it’s not clear that consumers would be inspired to adopt anything so different en masse. Sophisticated (and inevitably) fiddly devices are more likely to appeal to specific niche use cases and user scenarios. For the mainstream six inches of touch-sensitive (and flat) glass seems to do the trick. A little bot named QTrobot from LuxAI could be the link between therapists, parents, and autistic children. The robot, which features an LCD face and robotic arms, allows kids who are overwhelmed by human contact to become more comfortable in a therapeutic setting. The project comes from LuxAI, a spin-off of the University of Luxembourg. They will present their findings at the RO-MAN 2018 conference at the end of this month. The robot reduces anxiety in autistic children and the researchers saw many behaviors – hand flapping, for example – slow down with the robot in the mix. Interestingly the robot is a better choice for children than an app or tablet. Because the robot is “embodied,” the researchers found that it that draws attention and improves learning, especially when compared to a standard iPad/educational app pairing. In other words children play with tablets and work with robots. The robot is entirely self-contained and easily programmable. It can run for hours at a time and includes a 3D camera and full processor. The researchers found that the robot doesn’t become the focus of the therapy but instead helps the therapist connect with the patient. This, obviously, is an excellent outcome for an excellent (and cute) little piece of technology. Apple has released a handful of new ads promoting the iPad’s portability and convenience over both laptops and traditional paper solutions. The 15-second ads focus on how the iPad can make even the most tedious things — travel, notes, paperwork, and ‘stuff’ — just a bit easier. Three out of the four spots show the sixth-generation iPad, which was revealed at Apple’s education event in March, and which offers a lower-cost ($329 in the U.S.) option with Pencil support. The ads were released on Apple’s international YouTube channels (UAE, Singapore, and United Kingdom). This follows another 90-second ad released yesterday, focusing on FaceID. The commercial shows a man in a gameshow-type setting asked to remember the banking password he created earlier that morning. He struggles for an excruciating amount of time before realizing he can access the banking app via FaceID. There has been some speculation that FaceID may be incorporated into some upcoming models of the iPad, though we’ll have to wait until Apple’s next event (likely in September) to find out for sure. 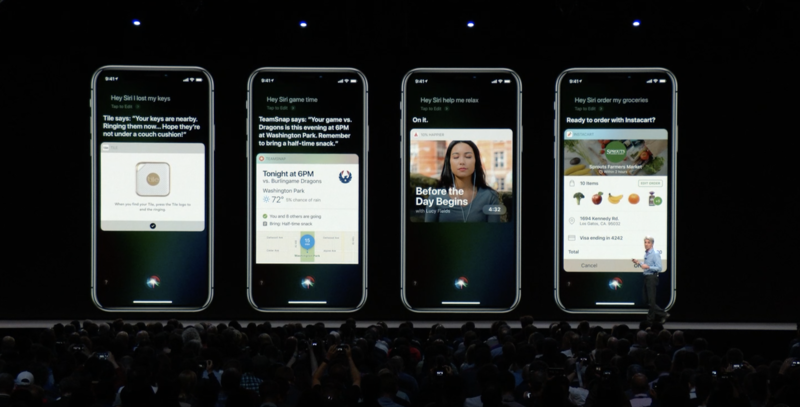 At WWDC, Apple pitched Shortcuts as a way to ”take advantage of the power of apps” and ”expose quick actions to Siri.” These will be suggested by the OS, can be given unique voice commands, and will even be customizable with a dedicated Shortcuts app. But since this new feature won’t let Siri interpret everything, many have been lamenting that Siri didn’t get much better — and is still lacking compared to Google Assistant or Amazon Echo. But to ignore Shortcuts would be missing out on the bigger picture. Apple’s strengths have always been the device ecosystem and the apps that run on them. With Shortcuts, both play a major role in how Siri will prove to be a truly useful assistant and not just a digital voice to talk to. For many, voice assistants are a nice-to-have, but not a need-to-have. It’s undeniably convenient to get facts by speaking to the air, turning on the lights without lifting a finger, or triggering a timer or text message – but so far, studies have shown people don’t use much more than these on a regular basis. People don’t often do more than that because the assistants aren’t really ready for complex tasks yet, and when your assistant is limited to tasks inside your home or commands spoken inton your phone, the drawbacks prevent you from going deep. If you prefer Alexa, you get more devices, better reliability, and a breadth of skills, but there’s not a great phone or tablet experience you can use alongside your Echo. If you prefer to have Google’s Assistant everywhere, you must be all in on the Android and Home ecosystem to get the full experience too. Plus, with either option, there are privacy concerns baked into how both work on a fundamental level – over the web. In Apple’s ecosystem, you have Siri on iPhone, iPad, Apple Watch, AirPods, HomePod, CarPlay, and any Mac. Add in Shortcuts on each of those devices (except Mac, but they still have Automator) and suddenly you have a plethora of places to execute these all your commands entirely by voice. Each accessory that Apple users own will get upgraded, giving Siri new ways to fulfill the 10 billion and counting requests people make each month (according to Craig Federighi’s statement on-stage at WWDC). But even more important than all the places where you can use your assistant is how – with Shortcuts, Siri gets even better with each new app that people download. There’s the other key difference: the App Store. iOS has always had a vibrant community of developers who create powerful, top-notch applications that push the system to its limits and take advantage of the ever-increasing power these mobile devices have. 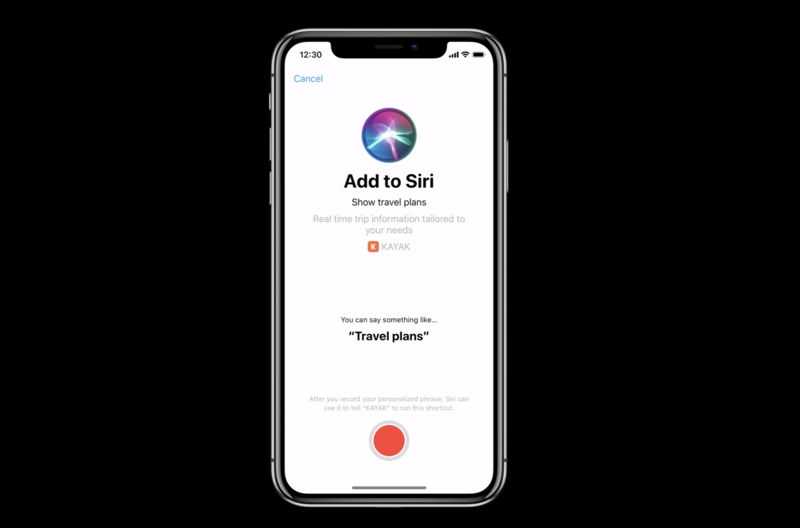 Shortcuts opens up those capabilities to Siri – every action you take in an app can be shared out with Siri, letting people interact right there inline or using only their voice, with the app running everything smoothly in the background. Plus, the functional approach that Apple is taking with Siri creates new opportunities for developers provide utility to people instead of requiring their attention. The suggestions feature of Shortcuts rewards “acceleration”, showing the apps that provide the most time savings and use for the user more often. This opens the door to more specialized types of apps that don’t necessarily have to grow a huge audience and serve them ads – if you can make something that helps people, Shortcuts can help them use your app more than ever before (and without as much effort). Developers can make a great experience for when people visit the app, but also focus on actually doing something useful too. This isn’t a virtual assistant that lives in the cloud, but a digital helper that can pair up with the apps uniquely taking advantage of Apple’s hardware and software capabilities to truly improve your use of the device. In the most groan-inducing way possible, “there’s an app for that” is back and more important than ever. Not only are apps the centerpiece of the Siri experience, but it’s their capabilities that extend Siri’s – the better the apps you have, the better Siri can be. Importantly, Siri gets all of this Shortcuts power while keeping the control in each person’s hands. All of the information provided to the system is securely passed along by individual apps – if something doesn’t look right, you can just delete the corresponding app and the information is gone. Siri will make recommendations based on activities deemed relevant by the apps themselves as well, so over-active suggestions shouldn’t be common (unless you’re way too active in some apps, in which case they added Screen Time for you too). Each of the voice commands is custom per user as well, so people can ignore their apps suggestions and set up the phrases to their own liking. This means nothing is already “taken” because somebody signed up for the skill first (unless you’ve already used it yourself, of course). Also, Shortcuts don’t require the web to work – the voice triggers might not work, but the suggestions and Shortcuts app give you a place to use your assistant voicelessly. And importantly, Shortcuts can use the full power of the web when they need to. 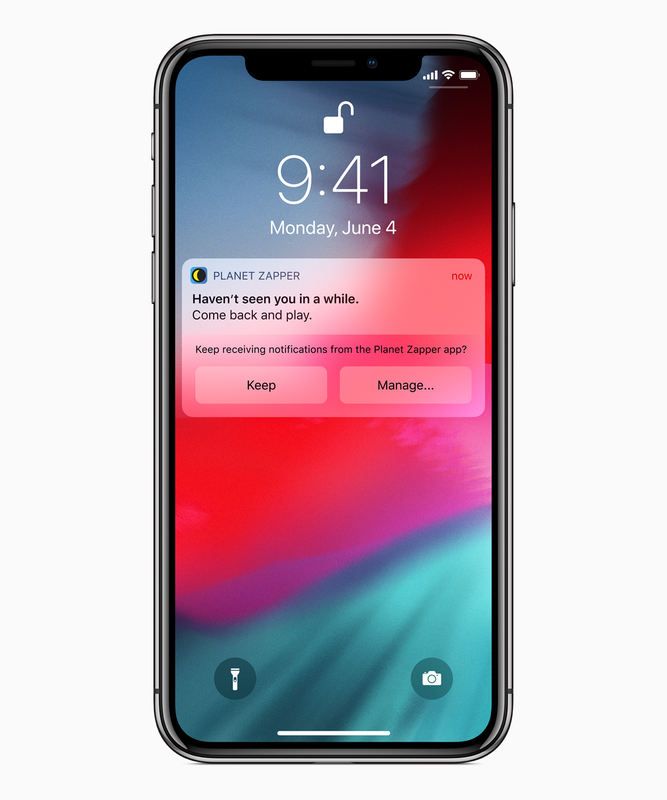 This user-centric approach paired with the technical aspects of how Shortcuts works gives Apple’s assistant a leg up for any consumers who find privacy important. Essentially, Apple devices are only listening for “Hey Siri”, then the available Siri domains + your own custom trigger phrases. Without exposing your information to the world or teaching a robot to understand everything, Apple gave Siri a slew of capabilities that in many ways can’t be matched. 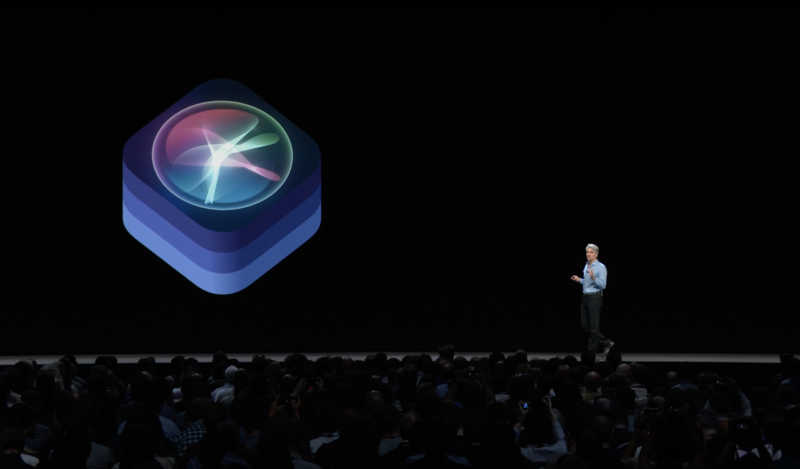 With Shortcuts, it’s the apps, the operating system, and the variety of hardware that will make Siri uniquely qualified come this fall. Plus, the Shortcuts app will provide a deeper experience for those who want to chain together actions and customize their own shortcuts. There’s lots more under the hood to experiment with, but this will allow anyone to tweak & prod their Siri commands until they have a small army of custom assistant tasks at the ready. Siri doesn’t know all, Can’t perform any task you bestow upon it, and won’t make somewhat uncanny phone calls on your behalf. But instead of spending time conversing with a somewhat faked “artificial intelligence”, Shortcuts will help people use Siri as an actual digital assistant – a computer to help them get things done better than they might’ve otherwise. With Siri’s new skills extendeding to each of your Apple products (except for Apple TV and the Mac, but maybe one day? ), every new device you get and every new app you download can reveal another way to take advantage of what this technology can offer. This broadening of Siri may take some time to get used to – it will be about finding the right place for it in your life. As you go about your apps, you’ll start seeing and using suggestions. You’ll set up a few voice commands, then you’ll do something like kick off a truly useful shortcut from your Apple Watch without your phone connected and you’ll realize the potential. This is a real digital assistant, your apps know how to work with it, and it’s already on many of your Apple devices. Now, it’s time to actually make use of it.